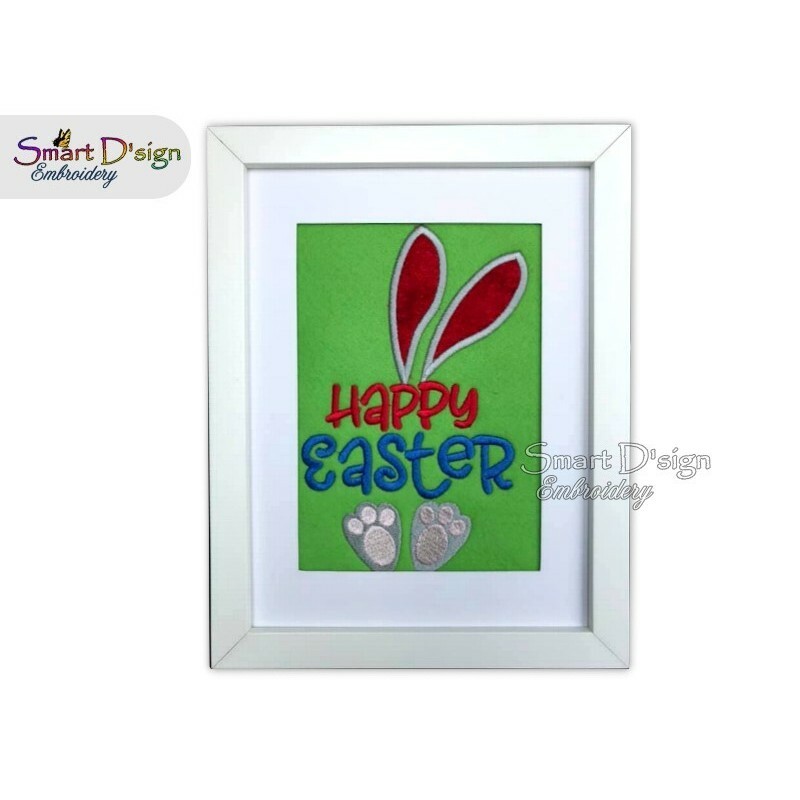 Happy Easter Greetings with Bunny Ears in applique style. Very quick and easy to stitch out. Knowledge in embroidering applique designs is recommended. Download is for the 'Happy Easter' (English) version. Pictures show examples how to use the design.